Seeking Junior Gold Miners and Silver Miners for Investment. Manage Your Hope & Fear. You really cannot just buy and hold - sell some to greed - buy into fear was never more true but hard to do. Silver Miners . . . . . . Junior Gold Miners Stock Selection & Trading . . . . . . .
Back in the day, when the Blues were the Other Manchester team, playing at Maine Road, while the class of 92 lived the dream at Old Trafford. How times change. Oasis Definitely Maybe, the first and the best, the sound of the City. The 24hr party people at the Hacienda. ADVFN - Canada - US - UK - "Charts & Research Tab"
Clarus Securities - No List - Research Led? Sidoti & Co - Research Based? Versant Partners - No List - Research based? Eric O Miners - TF Metals - Switched to ETFs Only ? Junior Miners - Gold or Dust ? Promote or Pump ? Gold Alert - Partners - Good Co.s? Greg McCoach Discussion - Promo ? Megamata - Sezmeman - inactive? Pinnacle Digest - promotions ? Midas Letter - James West - Promo or Investor? Canadian Financing - Who is raising money ? Yukon Thread on Kitco Boards - bit dated ? Notes From Underground: What Caused the Panic In Central Bank Park? Buy or fade the breakout? The pace of US money-supply growth slows to a crawl. Is this a major problem for the stock market? Copper - What Is On The Cards? SeaChange (SEAC, NASDAQ): The Turnaround Story That’s Made For TV! Straight Talk On Mining | Insights on mining from economic geologist Dr. Keith Barron. Is Novo’s Pilbara Discovery a Paradigm Shift in Economic Geology? New on Howe Street: "The Grass is Always Greener on the Other Side of the Border"
The End of the Silver Correction? Webcast: ICS & Cyber Security: Are you doing the best you can? The Ring of Fire: can this young camp become a role model for mineral development? Hydra Capital Partners Inc. - WE. ARE. HYDRA. Visual Deposits - Proud of the Deposit? 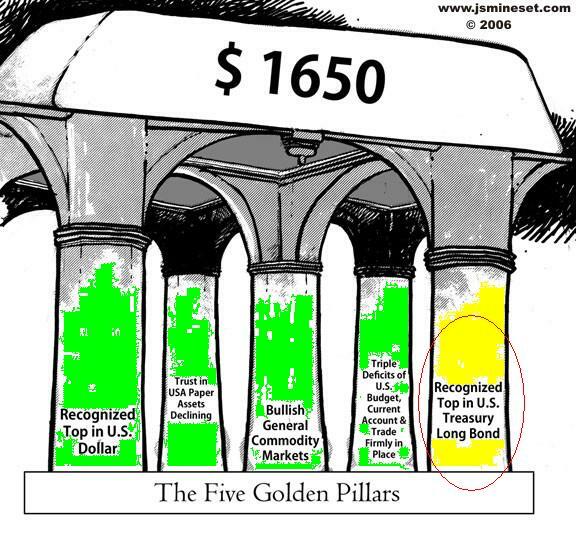 Jim Sinclair - Five Pillars of Gold - Final - Recognised Top in Bonds ? Alf Field - Wave 3 of 3 to $4500 ? Starting Jan 2012? Alf Field - Will it be 1400 then 5000 gold? Gold vs Paper Blog - Dow vs Gold? Josh Brown - Investment Classic Papers "Mix"
United Kingdom (UK) Investors seeking exposure to Junior Gold Stocks may wish to ensure that profits are free of capital gains tax. This can be achieved by holding stocks in an ISA account. Current allowances are over £10,000 pa for both yourself and a spouse if you have not already subscribed to cash ISAs. Any "Main Board" stocks can be held. With regards to junior gold stocks referenced here this means you can hold any stocks listed on the Toronto exchange, ".TO" on stock ticker references within an ISA. Australian stocks .ASX can also be held within ISAs and this can give exposure to very junior companies, although the Australian market is an area I have not had much exposure to. You will not usually be allowed to hold Canadian Venture exchange stocks, ".v" ticker references within an ISA account. AIM stocks are also now ISA eligible. UK Investors can realise capital gains of approx £10,000 pa before capital gains tax becomes due, with two allowances for both yourself and a spouse and you may roll forwards losses. These gains could come from a standard share dealing account holding venture listed stocks. I have found TD Waterhouse, now TD Direct in the UK to provide very easy dealing on the Canadian exchange. Therefore ensure you realise gains before the new April UK tax year within your allowance and consider realising losses to roll forward. At all times I may have invested in what I find, I may have identified the stock only to watch while I concentrate on other investments, I may have sold taking profits or losses. I am not an advisor. Although I attempt to find good information it may not be accurate. Links to other sites are of interest to me but I do not offer recommendation of their accuracy or agenda. If you want to invest in this area you must do your own due diligence, it is your money. You have not paid for my research or views. This is a very risky area and can really only be defined as speculation, not investment. At all times I may have invested in what I find, I may have identified the stock only to watch whil. Simple theme. Theme images by friztin. Powered by Blogger.